The rise, fall, and rebirth of Richard Nixon is perhaps the most fascinating story in American politicsand perhaps the most misunderstood. Nixon: A Life is the first entirely objective biography of Richard Nixon. Former British Defense Minister Jonathan Aitken conducted over sixty hours of interviews with the impeached former president and was granted unprecedented access to thousands of pages of Nixon’s previously sealed private documents. Nixon reveals to Aitken why he didn’t burn the Watergate tapes, how he felt when he resigned the presidency, his driving spiritual beliefs, and more. 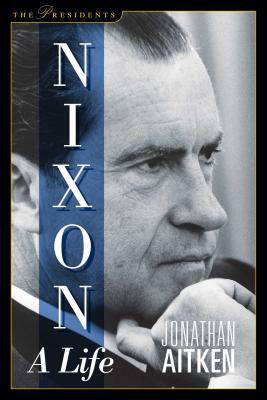 Nixon: A Life breaks important new ground as a major work of political biography, inspiring historians to recognize the outstanding diplomatic achievements of a man whose journey from tainted politician to respected foreign policy expert and elder statesman was nothing short of remarkable. Jonathan Aitken is a former Member of Parliament in the United Kingdom for 24 years and a former Minister of State for Defense. He is an Oxford graduate and the author of several books, including Margaret Thatcher: Power and Personality, John Newton: From Disgrace to Amazon Grace, and Pride and Perjury.